Darren “Pants” Millane was born on the 9th August, 1965 and originally wanted to play for St Kilda. He was playing with VFA club Dandenong and was residentially bound to the Swans. 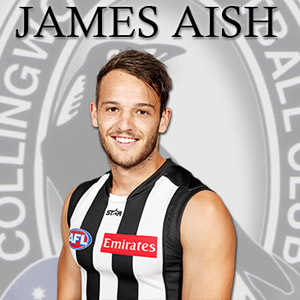 He trained at Hawthorn but was eventually picked up by Collingwood. Making his debut in 1984, Millane won Collingwood’s Best First Year Player award. The awards continued with Most Improved and a state guernsey in 1986 followed by a Copeland Trophy for Best And Fairest in 1987. He appeared for Victoria in 1988 and 1989, kicking a lone goal in the 2nd match against Western Australia in July, 1988. The crowning glory in Millane’s eight season career was the premiership in 1990. Playing the entire semi-final series with a now legendary broken thumb, he stitched Greg Anderson up and was one of the Magpies best on the ground. A year and a day after this historic win, Millane was tragically killed in a car accident in Melbourne’s Albert Park. An estimated 8000 people attended his funeral in Dandenong and he is resting in Springvale Cemetery. 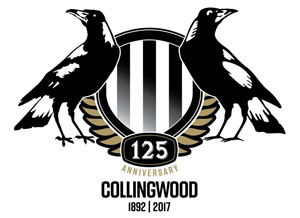 Collingwood’s Best Clubman trophy is named in Darren’s honour. Why is it then that this man is so revered by the Collingwood faithful ? Our current president co-wrote Millane’s biography in 1994. His guernsey number, 42, is retired and is likely to remain so. Why does this man invoke so much emotion ? His untimely death is certainly part of the reason but it has more to do with the way he lived his life. On the field, he asked for and gave no quarter, highly skilled, a footballer first and then an athlete, an excellent mark, good vision, tough as teak and protective of his team mates. Players with these traits have the ability to rally their fellow players like no other and Darren was no exception. Off the field, he lived his life to the fullest. He had a deep loyalty to his family and friends and left a lasting impression on all those he met. These are the traits we not only look for in other people, we look for them in ourselves, because they are rare qualities. We look to people like Darren when we need inspiration and encouragement. People like Darren have the ability to bring out the best in people. To not have him here makes these things so much harder and we are all certainly much poorer for his loss. We can only try to emulate him in standing together always and staying true to the cause through thick and thin. Rest In Peace, Darren Millane, 2006 Collingwood Hall Of Famer. I never personally knew Darren, and I wasn’t old enough to see much of him play, he debut for Collingwood in 1984, which was the same year I was born, he won the Best First Year Player at the club that season, in 1986 he was selected to play for Victoria, he was also selected another 2 times (1988, 1989) in his footballing career. If it wasn’t for the 1990 Grand final, and for the Road to Victory, I wouldn’t have seen many games of Darren Millane’s, one thing I will always remember about Darren would be him playing through the finals series and the grand final of 1990 with a broken thumb, the pain he must have been feeling that day would be unimaginable. But once that final siren sounded the pain would of subsided for just that one moment as he held the match ball above his head which is why he deserved, and won the most courageous player of 1990. Watching the Road to Victory over the years, I’ve seen what an absolute champion Darren was. There are only a few players that can lay claim to the title “Champion” and Darren was one of those players that had earned that title. But Darren was a champion not only on the field, but off of it as well, of course we remember those antics the stolen bus, and the trouble he would get into. But we rarely heard about the side of Darren that wasn’t shown that often. Millane would spend time with handicapped kids, at first he was made do this, as most players are, and he may not have actually wanted to do this, but in the end, did it often, giving the kids tickets to games. At the end of the 1991 season Darren Millane would sadly pass away, in a car accident, leaving a lot of people shocked, and saddened at the news of his passing. At that time the football world had lost a tremendous footballer, and human being. Darren played 147 games for Collingwood and kicked a total of 78 goals over his career which started in 1984 and would end prematurely in 1991. Millane would be honored with being named in the Collingwood Team of the Century, and would have his number retired. I feel saddened that I hadn’t been able to see much of Darren Millane, but I will always remember what a great player he was for the club, but what if he hadn’t of died? I’d like to think we would have had a better shot during the finals of 1994, maybe would of made the finals before then as well. 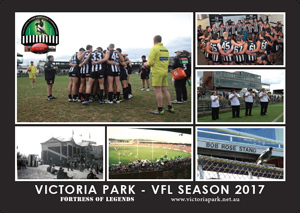 But we remember what a fine player, and person Darren was, he’ll always be missed, and he will always have his own spot along a bunch of Collingwood legends.